They were not involved in the actual voting as they were not qualified. 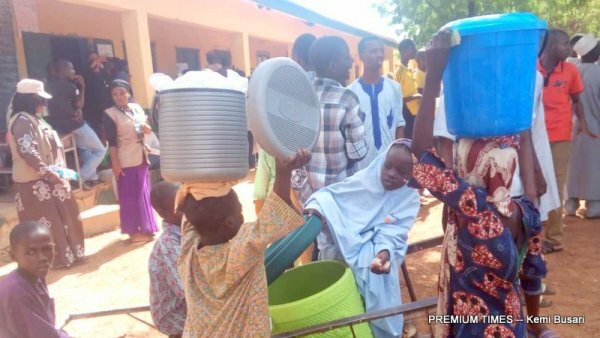 But children were a strong part of the Katsina North senatorial by-election which produced Ahmad Babba-Kaita as senator-elect. 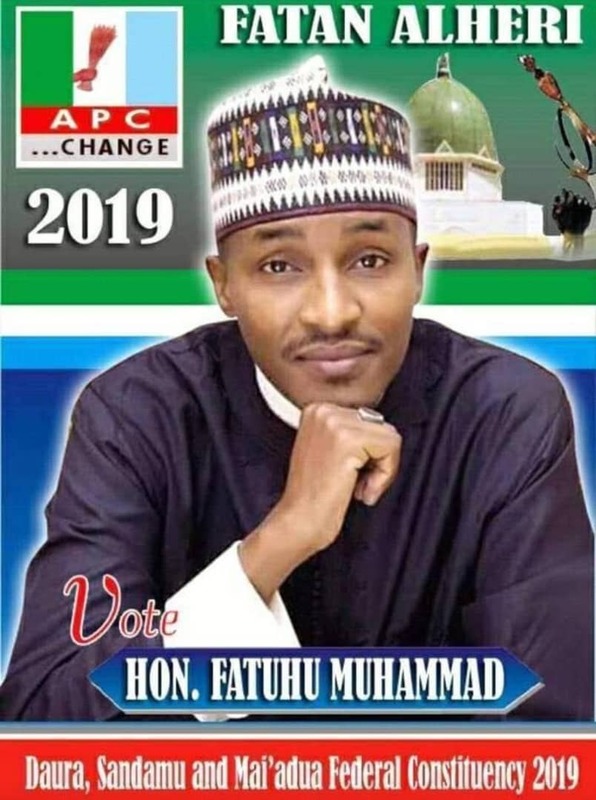 The district, where President Muhammadu Buhari hails from, became vacant following the death of Mustapha Bukar on April 4. From Daura, the district’s capital, to Kankia, Bindawa, Baure and other towns, children from age two and above made their ways to polling units on their own. They engaged in different activities, economic and political. On the economic side, many were seen at polling areas displaying their wares which mostly were food stuffs, some others hawked from one polling unit to another. 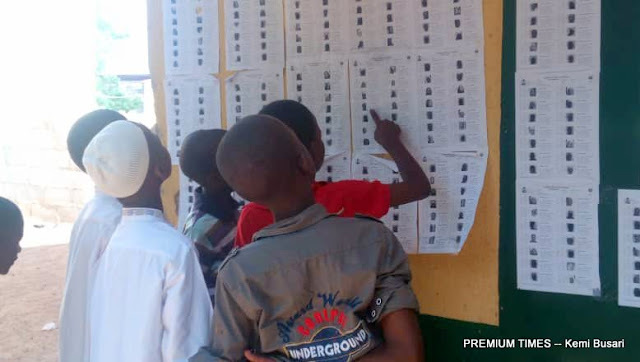 PREMIUM TIMES reporter who covered the election in this report chronicles the activities of children at polling units. Located in the bustling town of Kankia, three polling units set up in Bakin Kasua Primary School presented a perfect example of children’s activities in the electoral process. 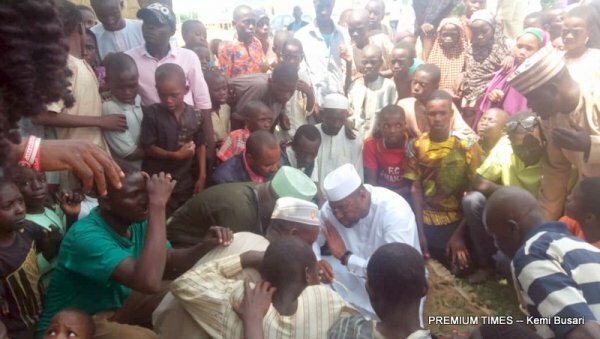 Kankia itself is significant for the election; it is hometown of the candidates of the two major political parties, Kabir Babba-Kaita of the Peoples Democratic Party (PDP) and Ahmad Babba-Kaita of the All Progressives Congress (APC). The three polling units; Bakin Kasua PU 005, 006 and 010 are all located within the school. By 10:40 a.m. when this reporter first landed in the polling units, it was difficult to tell who were more; adults or children. In fact, it is safe to say the number of children exceeded that of adults. At this time of the election day, the children could be safely categorised into two. The first group comprised those who came to sell food items and placed themselves at strategic places within the polling units. While some created what could be called mini shops for themselves under trees, a good number preferred to hawk their wares. They sold zobo local beverage, kolanut, Rogo dafawa (cooked cassava), sweets, baked foods etc. For many voters, election observers and journalists, these children were the messiahs who delivered them from hunger. Children in the second group were not hard to spot. They slightly outnumbered the ones in the first group. Dressed in smeary attires, children from age two and above wandered around the three polling units. They certainly did not understand the process but were keen on feeding their eyes with all items and happenings. Often times, they got so close to the ballot boxes to the wrath of security agencies. Certainly, a measure had to be devised to control them before the end of voting. Still in Bakin Kasua Primary School. The time is 12:15p.m. and voting exercise continues in peace. Until this period, the children were still polarised in two groups of sellers and spectators. But this changed just as the APC candidate, Ahmad Babba-Kaita approached the polling unit. More like they were assigned to do so, the children quickly changed their course. Almost immediately they sighted Mr Ahmad, they became what many would call ‘hailers.’ From the road that linked the school, children in hundreds, fused with adults, form the entourage of Mr Ahmad. In Hausa, they chanted “From senator to governor,” even before the aspirant became a senator. A few minutes later, Mr Ahmad was at his polling unit. He opted to join the already long queue and wait for his turn. The children retreated but were still very much present in the vicinity. The polling unit continued to be calm until dust raised unannounced. Two children, a boy and girl, were fighting close to the queue designated for males. And instead of the adults, mostly males, to separate them, they preferred to cheer the boy, who they considered as their representatives in the battle. “Karka Karaya” “Karka ka…,” some of the youthful men shouted to boost the confidence of the boy. Their encouragement was enough for the boy as evident in the result of the local rumble. When a security personnel finally separated them, the girl had inherited a swollen face. But what caused the fight? Hauwa like every other children had arrived Bakin Kasua as early as 8a.m. to sell her Soya bean snack popularly called Awara. The boy, Musa, had wanted two pieces of Awara for the portion of Kunnu which he traded but Hauwa would not part with more than one. Musa’s insistence and attempt to coerce his friend, now turn enemy, to give him two Awara led to the fight right in the presence of Mr Ahmad. The time now is 1:17p.m. Mr Ahmad had decided to leave the queue for a tree shade after queuing for about an hour but he wouldn’t be left alone. For the about 150 metres walk from where he queued to the tree shade, he was flanked both sides, back and front by cheerful children. This time, they were joined even by those who hawked. When Mr Ahmad finally decided to relax under the tree, the children mounted the tree top, some on slim branches, to maintain their entourage. Others gathered around him as though they were in a political meeting. They would not bulge even after a series of protests by Mr Ahmad for them to retreat. By 1:42p.m., still in the hot afternoon, another rush ensued. About 50 metres to Mr Ahmad’s sitting position, a good Samaritan had decided to feed the children on dafaffen Rogo (cooked cassava), a local delicacy. The kind gesture caught them unawares, hence, the tone of the struggle. While the fit ran to grab at least a handful of the meal, those on the tree made their ways from the high elevation. They were indeed hungry. Stampede, another stampede and more stampedes characterised the struggle. By the time dust finally settled, many of the children had sustained injuries. But they were not deterred. They returned to their position with Mr Ahmad. This is the ideal but the reality in Kankia did not conform. Perhaps, a N100, 000 would have been paid in multiple folds should security operatives decide to adhere strictly to this provision. Apart from wandering about the three polling units, the children were uncomfortably close to ballot boxes and election materials. At almost every seconds, security officials at the polling units had to shoo them away but it did not work as the children kept coming back like the proverbial stubborn goat. By 2:00p.m. when it seemed almost impossible to control their interference, officials at each polling units decided to dedicated at least one security officer to shooing away children from the polling units. This worked but not quite. INEC’s Director of Voter Education and Publicity, Oluwole Osaze-Uzi, said the commission was not aware of situation as it was not contained in any of the reports submitted after the election. Mr Osaze-Uzi however said the children like every other persons ought to maintain a distance as prescribed by the law. Austin Aigbe of the Centre for Democracy and Development (CDD) condemned the development. “How did the children get to the polling station? The process is simply, on election day, there are restriction of movement, and only eligible voters with PVC are allowed a walking distance to their respective polling unit. The Nigerian constitution prescribe that a person must be 18 or above to be eligible to vote. Allowing children to participate in elections is, therefore the highest level of violation of our electoral laws,” he said. By 4:00p.m., when the counting and sorting started, the children were still very much on ground. In Hausa language, they joined the Presiding Officer in counting of ballot papers. What followed was jubilation across the three polling units, still led by children.